Join me this October 13th for a walk along the eastern shore of Staten Island. After Hurricane Sandy, members of three communities on the eastern coast of Staten Island—Oakwood Beach, Ocean Breeze, and Graham Beach— decided to sell their homes to the state and not rebuild. 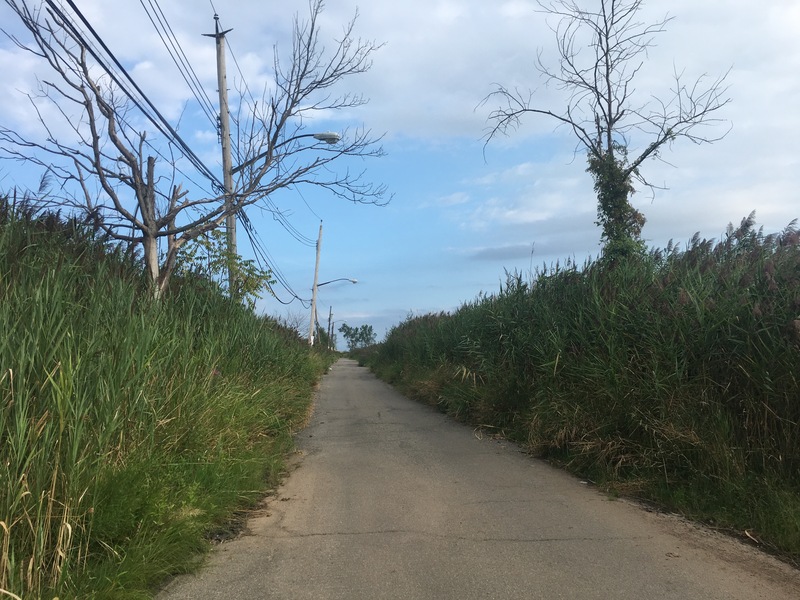 Participants opted in to a program that allows them to sell their homes at pre-Sandy value, to the State of New York, which is now returning hundreds of parcels of land to nature. Come visit this new buffer zone with me and we will talk about the ecology of salt marshes, managed retreat from the shore, adaptation and rewilding, and the natural history of Staten Island. Rain date: Saturday, October 20. Lower Manhattan at 10:45 to catch the 11am ferry. Email me if you’ll be joining us! I’ll send more information. This walk is in conjunction with the publication of The Liquid Fault Line, the summer 2018 Brain Washing from Phone Towers Informational Pamphlet.